Mabel Lydia KABERRY was born 15 May 1877 in Pontefract, Yorkshire, the daughter of Isaac Kaberry, a solicitor, and his wife Mary. Trained as a nurse at Bristol General Hospital between 1899 and 1902 where she was awarded the gold medal as top student of her year. 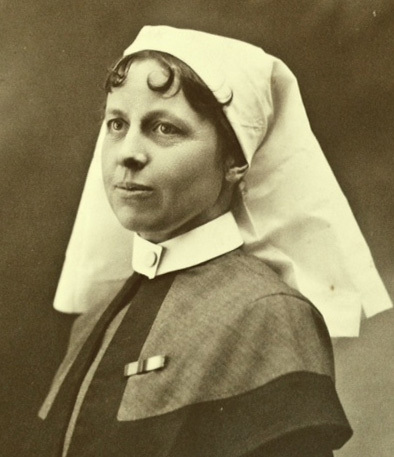 She was appointed to Queen Alexandra’s Imperial Military Nursing Service as a Staff Nurse in June 1905, and promoted Sister in November 1910. 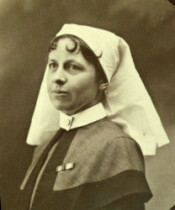 Her elder sister, Ethel Kate Kaberry, also trained as a nurse and served with QAIMNS, resigning on the grounds of ill-health in 1913.